In February this year, the film community awakened to the news that The Substation's Moving Images programme would have its Swan song at February's First Takes. 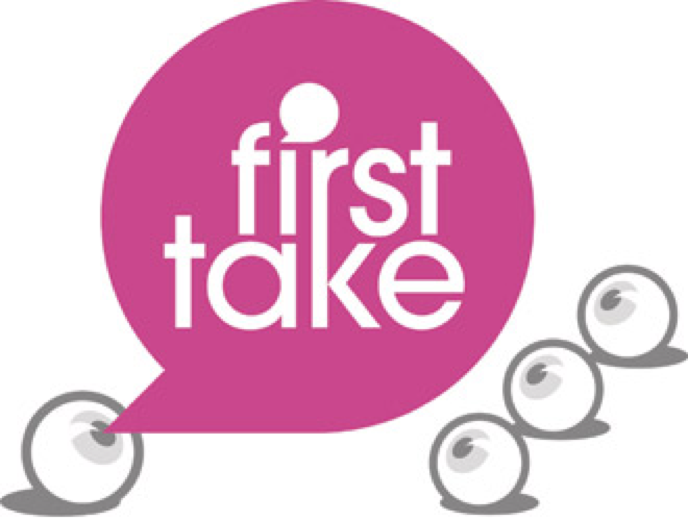 Reacting with a mix of desperation, shock, nostalgia and curiosity, active members of the independent film circle turned up at the final First Takes to soak in the final moments of Moving Images and to find out why this was happening. For many people, Moving Images or even The Substation, as a space, was the starting point of their filmmaking careers and a dozen important friendships. In the early 2000s, The Substation started to earn its reputation as a haven for emerging works. If they were snubbed by the established film festivals or commercial screening platforms, many independent filmmakers knew that their works may stand a chance with Moving Images. Never mind the creaky seats or the seeping through of sound from the bar ‘Timbre’. 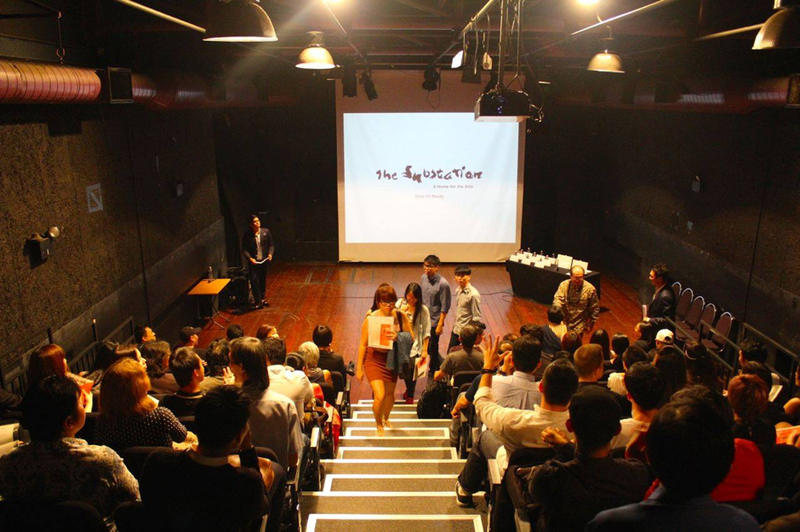 The film community that slowly emerged from this regular affair at The Substation treated it like home. 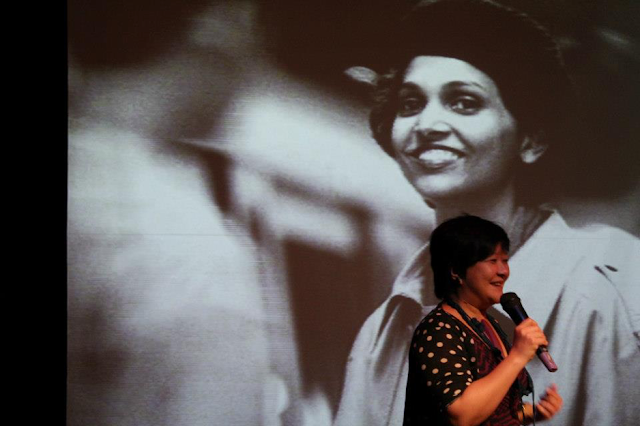 It can almost be said that many names in the Singapore film community’s hall of fame had their roots, or for some, their first films screened at The Substation. However, while many hold Moving Images in a special place in their hearts, attendance numbers did not reflect the same affection. One look around today reveals a more varied film landscape. Filmmakers today can hope for sharing they works between the two extremes of the glitzy Marina Bay Sands Theatre and the grungey underground Substation Guiness Theatre. Inevitably, the lure of huddling together at The Substation, every first Monday of the month (for First Takes) or other screenings has been diluted. Artist-curator Alan Oei took over The Substation as the Artistic director in 2015 and brought to the Substation some new impetus for change. To say the least, it has its eyes on a slightly different audience, a wider, less 'grungey' audience. In his own words, Alan relates that beyond being a place artists care about, he hopes it can be a place the general public cares about as well, and this would guide his efforts to bring change to The Substation. Moving Images was unfortunately on the 'weeding' list and remains so even after the Townhall discussion between Alan and arts practitioners, at The Substation on 31 March 2016. So we guess it’s goodbye, hard as it is to say. But memories can stay and here are some personal parting shots to take home. 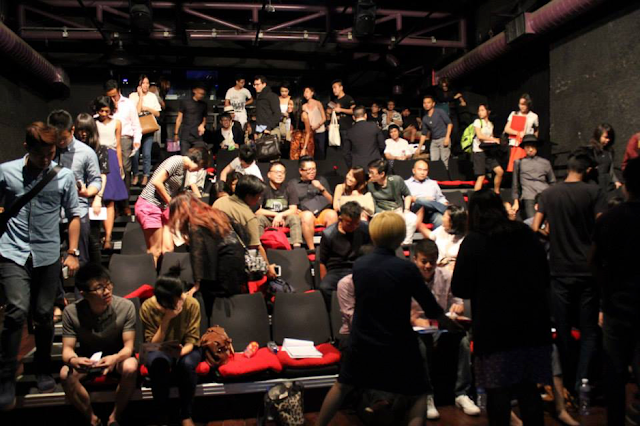 The Substation was born alongside venues like the old Drama Centre at Fort Canning Park. The late Kuo Pao Kun could still be seen walking around in his slippers. He coined the term 'A worthy failure is better than a mediocre success'. The spirit of this phrase is well-channelled into the space we see at The Substation. Random well-executed graffiti surprises visitors at unexpected corners, including the toilets. The gallery space - a humble rectangular 'white box' - has been re-imagined by artists for countless shows, many of which were the edgiest you will ever see in Singapore. Even the first First Takes was held in the small Blue Room, more recently known as the Random Room, next to the Guiness Theatre - sinking its 'underground' roots right at the start. Some would argue part of its charm is its immunity from ‘gentrification’. Amidst the emergence of newer screening venues that were ‘gala-friendly’ or offered some ‘lifestyle’ chic, The Substation remained that ‘community centre’ that stayed as unpretentious as Madam Chua who locks up the rooms at the end of each day. Moving Images had a persona. One could argue it was that of a slowly maturing 22 year-old punk rocker who had a ‘make-do’, ‘just come together and jam’ spirit about him. Indeed, there stood a prevailing sense that any film could find a platform with Moving Images, not that it was a home for orphaned works, but that the programmers behind it worked hard to stretch boundaries of genre and style. Moving Images was arguably a ground-up initiative and the programmers shaped it with their personal tastes, knowledge and flair. “I started working at The Substation in 1999. Those who came for the Moving Images programme then may recall seeing me tearing tickets and giving out photocopied programme flyers at the front-of-house, closing the door, running to the stage to introduce the programme, and then tip-toe-ing in the dark to the control room to play the VHS tapes. Lucky for me the "digital revolution" was around the corner and soon mini-DV tapes were introduced and we soon had "multiple" formats to play around with. Even though I was literally making my own tickets (photocopy and tear) and designing primitive flyers (photocopy and sometimes go to print if we had money), there was great energy and curiousity amongst the filmmakers and the audience. These were the people that made up our film community. Because I had to be really resourceful, I reached out to many organisations I thought may be interested in other film cultures. I had no idea if they were interested in Singapore film but I offered an exchange programme, and as a cultural institute with a great history, The Substation was the perfect place for me to do not only film screenings but discussions and forums to create a deeper sense of understanding of what we were watching. I really wanted our film community to be connected to other film communities around the world. It doesn't sound like much now but this was a time before Youtube, Vimeo or Facebook was ever around. The Substation was that virtual ‘Black Box’ for many ideas. Owing to its spirit, mission and unique atmosphere, it gave rise to programmes no other venues could hope to develop. 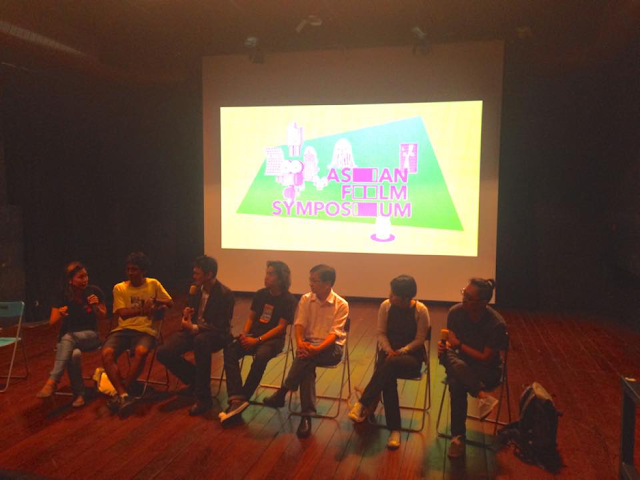 The Asian Film Symposium that started at the beginning of the millennium, helped forge some identity for Southeast Asian cinema, while allowing local filmmakers to reposition themselves from the knowledge of the greater neighbourhood out there. The Experimental Film Forum, questioned the boundaries of film and art, bringing some of the most adventurous, genre-bending works to the audience. Then there was that one night during Halloween in 2014, filmmaker Chris Yeo brought ‘Hell’ in its 18 incarnations to a full-house crowd hungry for spooks. 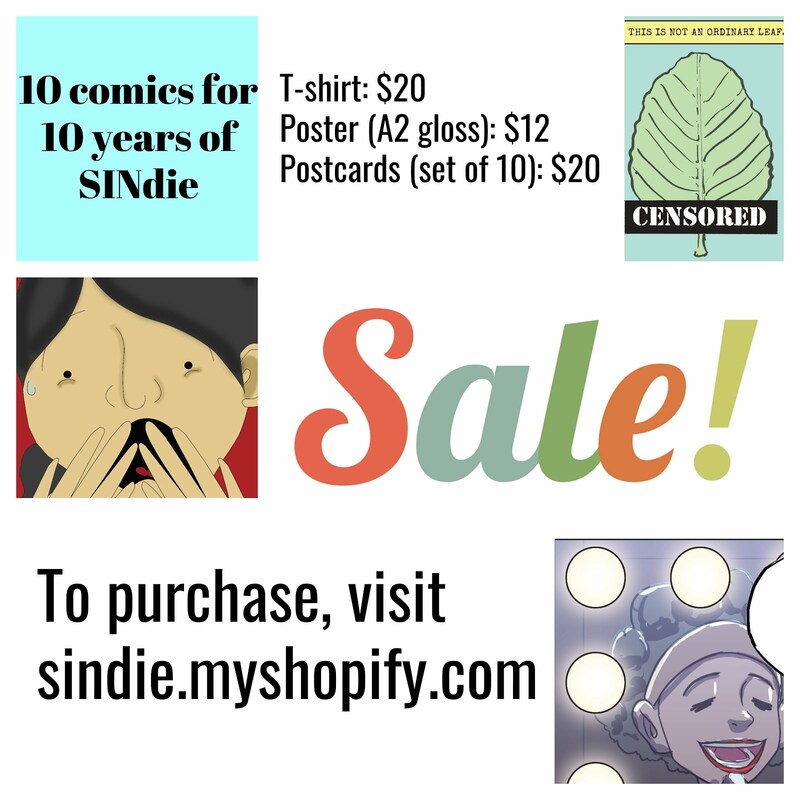 Needless to say, no institution embodied the word ‘indie’ more than ‘Moving Images’, and no doubt its programmers over the years, from Yuni Hadi to Vincent Quek, ought to take full credit for feeding this ‘punk rocker’ and keeping it alive. 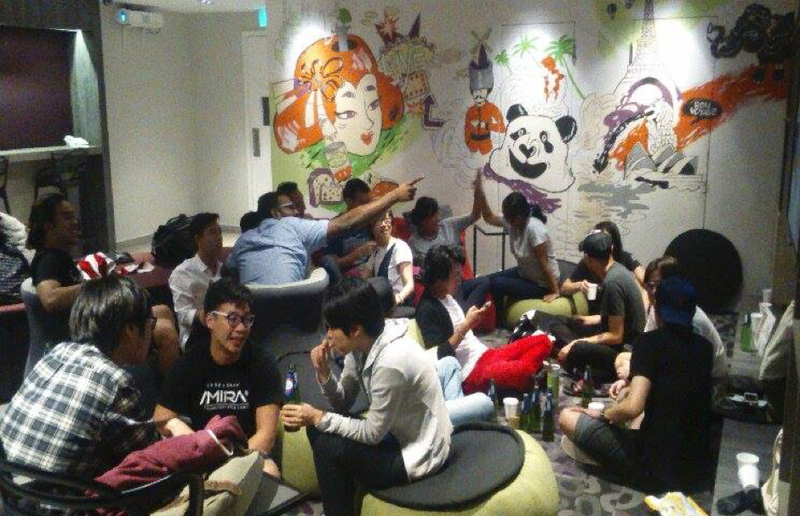 “One of my fondest memories of Moving Images was co-organising Asian Film Symposium 2015, where towards the end of the 4 day Symposium, 8 countries and their respective programmers and filmmakers enjoyed a hearty dinner and then drank till the wee hours of the morning. We had put our international guests up in a boutique hotel, where there was a common area on the 2nd floor with loads of beanbags and sofas. It was there that we all poked fun at each other, shared swear words in our own languages and generally been a tad obnoxious (but thankfully no one else was there in the wee hours of the night). The laughter, and drinks that we shared that late evening. after an intense 4 days of film screenings, panel discussions and Q&As was truly serendipitous. It reminded me that films are above all, about the relationships that we have and develop from person-to-person." No one misses the effervescence of filmmakers Ghazi Alqudcy and Ezzam Rahman at the Substation. They would often be seen helping out at the screenings, lending their larger-than-life energy to event. When the lights are turned off, the conversations continue outside the theatre and Ghazi and Ezzam are firmly planted somewhere amidst the tote-bag-sporting students, enthusiasts and other filmmakers. 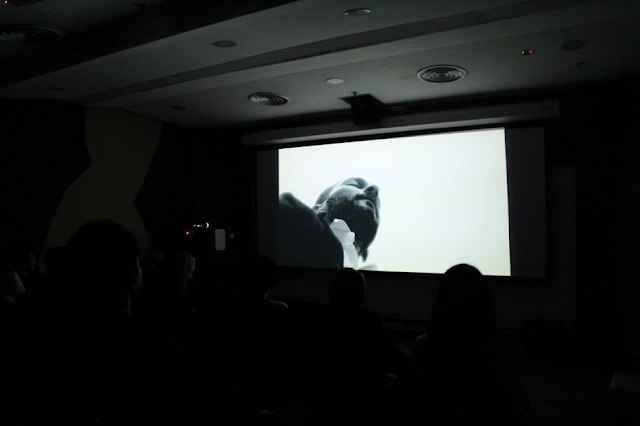 Their relationship with Moving Images is long-standing and deep and the idea of ‘home’ transcends the physical space. Moving Images has been an incubator for their passion for films, a periscope to the larger filmmaking world outside of Singapore and a basecamp for honing their craft. “I can’t really remember my first encounter with Moving Images but my close friend, Ezzam Rahman, introduced me to Substation. I remembered that it was Kristin Saw who was the program manager for Moving Images. At that period of time, I was still a student. I remember going to film screening events where I met many of my peers and colleagues of the film scene…. As a student, I did not have a lot of personal funds to watch films. Kristin gave me odd jobs like tearing tickets and allowed me to enter the theater for free. It felt good. 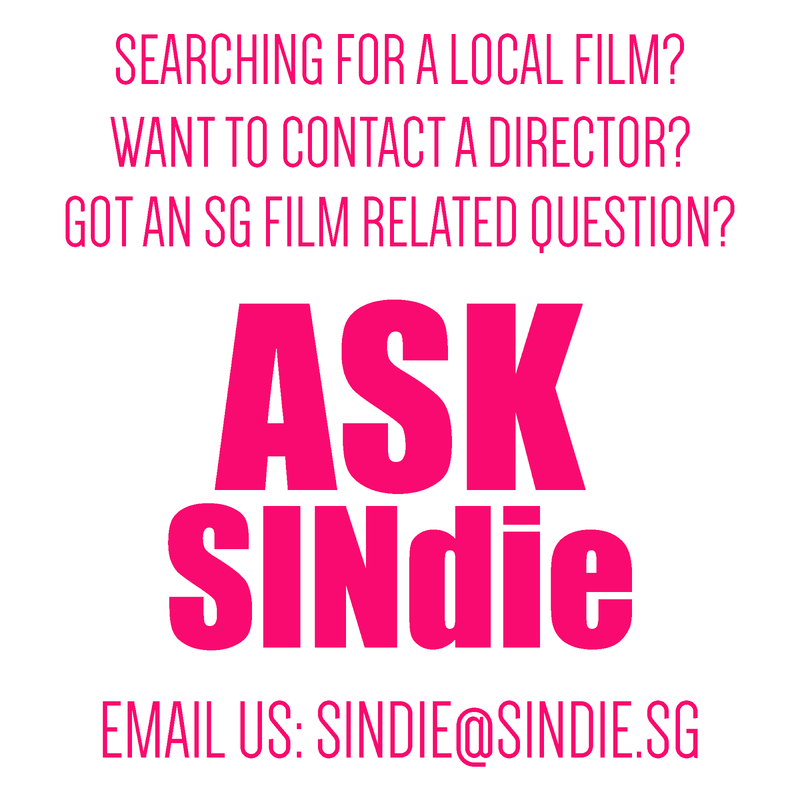 ‘Basecamp’ can indeed be a word many independent filmmakers in Singapore associate The Substation with. In 2009, when MDA announced changes to its film-funding criteria, The Substation became a natural host to a series of community meetings among the most active independent filmmakers to debate and discuss film funding. At one point or another, Moving Images had been a pivotal part of the careers of many filmmakers, either through providing the first screening platform, the first contact with other filmmakers or that first important award. Conversely, good programmes aside, it was these faces who made Moving Images the ‘home’ it grew to be, that family living room where you could come and put your feet up on the couch. In this repository of memories and personal notes, can you find your own etching on the tree bark? Writer Ben Slater wrote an article titled ‘Whatever happened to the Class of 2002?’ The Class of 2002 referred to a pioneering batch of independent filmmakers whose films influenced the aesthetics and tonality of more locally-produced short films that were to come after 2002. They included Sun Koh, Han Yew Kwang, Wee Li Lin, Tan Pin Pin and a few others. Not quite a Singapore New Wave, but they certainly demonstrated how Singaporean cinema would look like to Singaporeans fed on Hollywood fare, right in the premises of the Substation. Over the last 10 to 15 years, Moving Images remained a cradle for local works and among the alumnus of First Takes, are some rather prominent names in Singapore cinema currently. While not always a first choice for filmmakers choosing where to ‘premiere’ their films, the numbers speak for themselves. 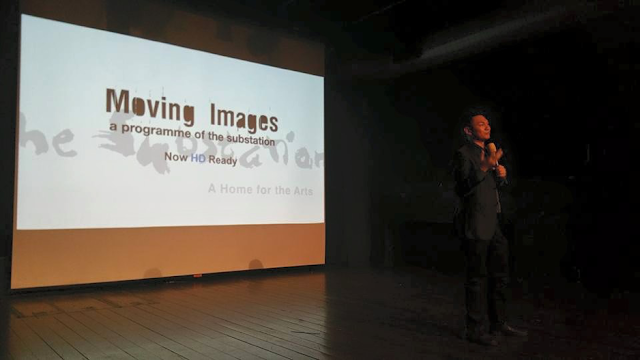 Moving Images has arguably showcased the most number of independent works in Singapore and is the largest repository of local works. Premiere or no premiere, everyone’s screened something at Moving Images and faced questions from the audience. We’re all ‘classmates’ from the same school. Goodbye Moving Images, but see you soon in another place, time and form.